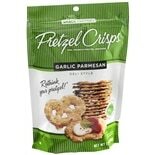 Shop The Snack Factory Pretzel Crisps Garlic Parmesan (7.2 oz. )7.2 oz. $299$2 and 99 cents$0.42 / oz. 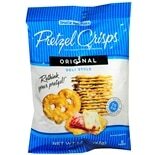 Shop The Snack Factory Pretzel Crisps Original (7.2 oz. )7.2 oz. 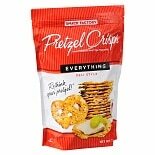 Shop The Snack Factory Pretzel Crisps Everything (7.2 oz. )7.2 oz. 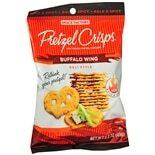 Shop The Snack Factory Pretzel Chips Buffalo (1.5 oz. )1.5 oz. 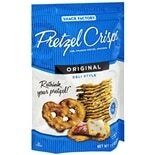 Shop The Snack Factory Pretzel Chips Original (1.5 oz. )1.5 oz.